Home » Business Ideas » How to get a Business Loan? For a small business getting quick business loan at lower interest rates is key to making the most of business opportunities. Today many young and dynamic people are keen to start the business but due to unavailability of finance they could not. In order to help them, I am herewith detail guide on business loan. Business loans are given to proprietorship firm, partnership firm, private limited company or public limited company. A most appropriate place to get a loan for a business is a bank, however, you can obtain a loan from finance company also. The business loan amount, a rate of interest and features differs from bank to bank. How many types of Business Loans are available? Loan for New Business – You can get a loan for starting a new business under this category. The initial period is most difficult for new business startup. Many bank prefers business to be at least 1 year older to give this type of loan. Working Capital Finance – In order to fulfill your daily business requirement you can avail working capital finance from the bank. This finance will be in term of cash credit limit/over draft. Business Expansion Loan – This type of loan is given for business expansion. If you have already established your business and planning to expand your business you can avail business loan for expansion. Assessment of this loan is done based on future cash flow. You can avail loan up to 1 Cr under this category. Finance for Import & Export Business – An importer and exporter requires finance on time to grab business opportunities. If you are in import/export business you can avail loan under this category. This loan also includes export credit, letter of credit, shipment finance etc. How to Get a Business Loan to start a small business? Getting a loan for starting the business is difficult task. You need to prepare a lot before applying for the loan. Regardless of what types of business loan you are applying, ensure that you have all materials for your loan approval before filling application. Step-1 Write a business plan. First thing which is required by every lender for the startup organization is business plan. Your business plan shows that you have concrete and profitable business idea which is expected to earn good amount of money. Step-2 Select the lender for the business loan. It is advisable to approach the bank where you have existing account. 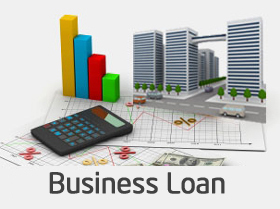 Get all information about business loan like eligibility, approval process and timeline. Step-3 Review information given by bank carefully, so that you can prepare for the application and other required documents for getting loan. 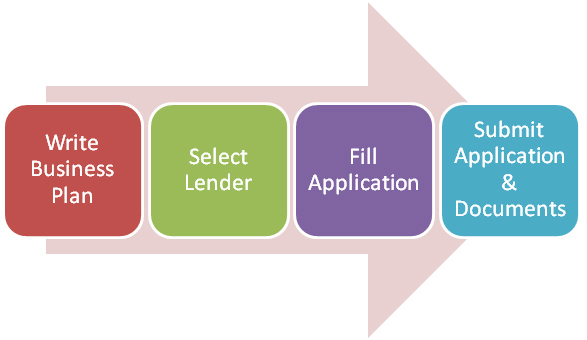 Each lender use different creation for the evaluation of loan application. I will discuss about that in next section of my article. Step-4 Once you have completed the application and other requirements, submit your application with relevant documents to bank. Don’t forget to attach business plan with your application. Which Documents are required to avail loan for business? How much Business Loan I can get? You can avail business loan up to 1 Cr if you are fulfilling the criteria of the bank. Bank consider following factors before giving a loan. Bank demands “Collateral or Security” from you for the business loan. Collateral can be in the form of residential/ commercial or industrial property of liquid assets. Banks ask this security as they want to cover the risk before giving this loan. If you are able to produce collateral fulfilling bank demands you will get a loan. Credit history is an important factor for getting a loan. A credit score is closely linked to the amount of loan you can get from the bank. If your credit history is good bank will be able to extend you loan easily. Bank will always check current financial condition of your company. They will go through profit and loss account and balance sheet. Bank will also look at the amount of capital you have invested and revenue produced by your company. If your company is in bad financial condition bank may refuse to give a loan. Bank will also check a type of business you are in. If you are in the business sector which is likely to perform better your chance of getting loan approval is high. Your business turn over should be with some minimum value usually 20 lakh to 40 lakh. Your business must be profit-making since last 2 years. Interest rate of the business loan is usually in the range of 13-20%. Do share your experience about getting a loan for business! I am intrested in franchises of KFC, Mac Donalds and Dominos. I have Froude contacs (dealers, broker). so plz give me frenchise ownership contacts details and addressed. You want guidance for starting business or for getting Loan Kindly clarify. Thanks for your information. I am trying to get my business loan.